“When I first contacted Real Health, they were very helpful and informative. They also check in with me on a regular basis to see how the products are working and whether I have any issues or questions. "I appreciate the regular personal contact, and I can call or email real people if I need to. † These testimonials are based on the individual experiences of these customers. Your experience may vary. Nerve damage or nerve pain (also known as neuropathy) is often caused by a deficiency of specific vitamins. When you can't get enough of these vitamins from the foods you eat, you need to supplement your diet. There are two vitamins which are absolutely vital to nerve health but that up until recently have not been easily available in a form that can be more readily absorbed and used by the body. These are Benfotiamine, a special form of Vitamin B1‡, and Methylcobalamin, a special form of vitamin B12‡. ‡ The clinical studies are for the individual ingredients in the RHP® Nerve Support Formula. These studies are provided for information only. Real Health Products is not making any claims for the RHP® Nerve Support Formula as a result of the information in these studies. 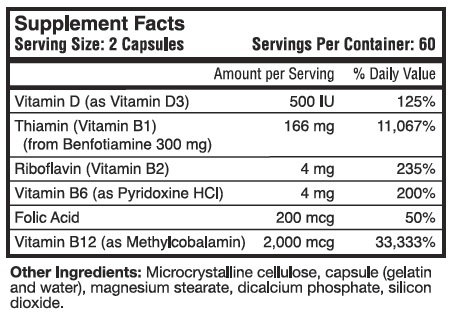 Unfortunately, the oral intake of vitamin B1 does not greatly increase the levels of B1 in the blood stream. 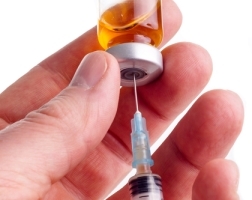 Previously, the way that blood stream levels of B1 were increased was through periodic intravenous feeding or through injections every few weeks. Vitamin B-12 is necessary in human health for the formation of proteins and red blood cells, and for the functioning of the nervous system. It is vitally important in maintaining the health of the outer sheathing (protective covering, also called the myelin sheath) that surrounds nerve cells. 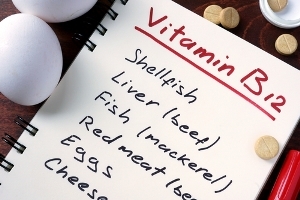 Vitamin B-12 is found only in animal products; meat, fish, eggs, and dairy products. Most people’s diets do not contain sufficient B-12, and so, over the years, the amount of B-12 diminishes in the body until there is an actual deficiency of this important vitamin. In the past it has been difficult to remedy this deficiency. The reason for this is that while vitamin B12 is readily stored by the body, it is not readily absorbed by the body. For this reason much larger amounts have been used in supplementation, but even large oral dosages have not been an adequate solution. The most common type of vitamin B12 used in supplements is called Cyanocobalamin. Taking Cyanocobalamin can result in absorption of as little as 1/2 of 1% of the amount taken, which makes it almost impossible to get enough of this vitally important vitamin. In addition to the very low absorption, the body must convert the Cyanocobalamin (which cannot be used by the body) to a form of vitamin B12 the body can use called Methylcobalamin. Unfortunately, as the body gets older it loses this ability to convert Cyanocobalamin to Methylcobalamin. Now, A Solution to the Problem! 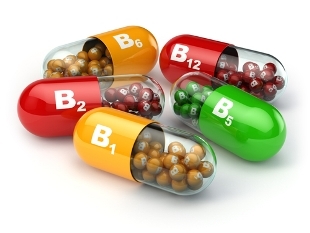 Now, a special type of vitamin B1 has been produced, called Benfotiamine. It is a fat-soluble version of vitamin B1. What does this mean? It means this special form of vitamin B1 can be taken orally in large dosages and it will not flush out of the body the way ordinary Thiamine (vitamin B1) does. Methylcobalamin, a form of vitamin B12 (also called Methyl B12), is now available along with Benfotiamine in the RHP® Nerve Support formula. This is the form of vitamin B12 that can be directly utilized by the body and is available in the quantities nutritionally needed by the body to help support healthy nerves. Methyl B12 can be taken orally and is immediately available to the body much like injectable vitamin B12. Folic acid is included in the formula as it helps improve circulation. Many people who have neuropathy also have bad circulation. Folic acid also works closely with vitamin B12 to help make red blood cells and help iron work properly in the body. "I discovered the Nerve Support from Real Health Products in the summer of 2013. As soon as I began to use their Nerve Formula, I began to feel better. I began to feel more comfort and relief than anything I had tried up to that point. "It was a blessing to find, not only this product, but the help and support of these fine folks. The fact that they kept in touch with my progress for the past two years has been an extra bonus. Totally enhanced my life. "I highly recommend Real Health Products Nerve Support to anyone." Why RHP® Nerve Support Formula? 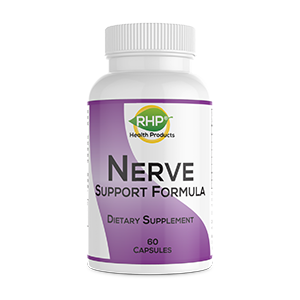 The RHP® Nerve Support Formula contains a perfect blend of the right ingredients designed to provide real nutritional support to people who have neuropathy, including Benfotiamine and vitamin B12 (methylcobalamin). The RHP® Nerve Support Formula is a nutritional supplement which has been on the market for over ten years and it is the most popular product we offer. 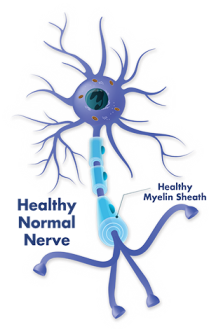 Benfotiamine and methylcobalamin are two of the most widely used ingredients in the world to support nerves and the nervous system. The blood stream levels of vitamin B1 and vitamin B12 can now be greatly increased, providing the nutritional support needed by the body to rapidly and far more effectively build healthy nerves and a healthy nervous system. "In my research for a nerve supplement that would help, I found Real Health Products Nerve Support Formula and I read about the effects of B vitamins on the nerves in one's body and that this product had helped those with nerve problems. "And it did that for me too. Big time!" We're so sure about the quality and effectiveness of the RHP® Nerve Support Formula, and that you will experience the life changing results, that we offer a 90-day money-back guarantee. A bottle containing 60 capsules is now $44.20. When you call a company, you should be able to reach real people, who you can speak with directly, and who will make themselves available to answer your questions. We believe in live communication. You can contact us either by phone or email and we will provide you with whatever help you need to ensure you get the results we promise. Helping you get results is what we are about and why our customers know we care! “I have been meaning to send you this. I hope you can use it and encourage someone else to try Nerve Support! “Being a nurse and wanting to find a less invasive way to help with my nerves, I did some digging and found the Nerve Support Formula from RHP. “After a short while, I could feel a big difference. Now, my nerves feel much better. You hold in your hands an opportunity to significantly improve the health of your nerves. Your most important decision is to take action and take control of your health. Order your RHP® Nerve Support Formula below and experience the results for yourself. Order the RHP® Nerve Support Formula Now! Nerve Support Formula can do for you?